Mourners has gathered in Summerville, South Carolina for the funeral of black driver Walter Scott. 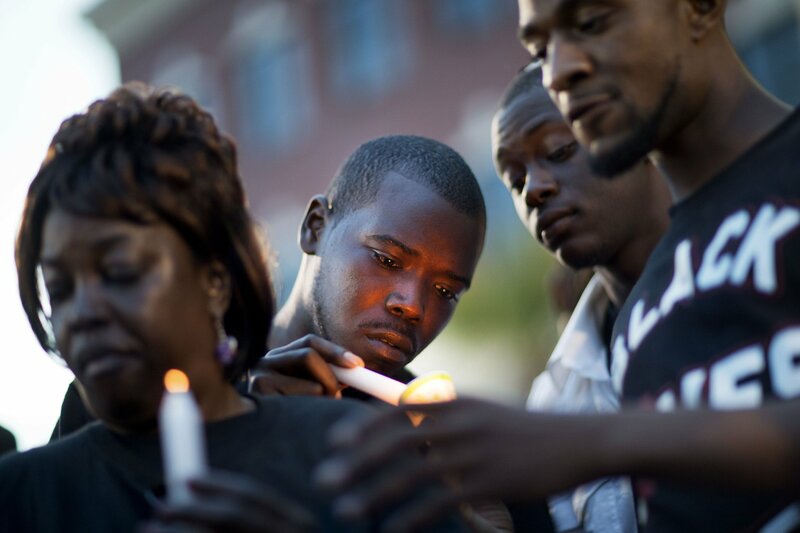 Walter Scott was fatally shot by North Charleston police officer Michael Slager after fleeing a traffic stop. A hearse being escorted by two police on motorcycles drove up as the growing crowd looked on April 11. Mourners waited outside through humidity and a period of light rain while flowers were unloaded and brought inside the sanctuary. Police initially said Walter Scott was shot on April 4 during a tussle over Michael Slager’s department-issued Taser. However, a witness video surfaced later, showing Walter Scott being shot eight times as he ran away. Officer Michael Slager was fired and charged with murder. The incident sparked outrage as another instance of a white law enforcement officer fatally shooting an unarmed black man under questionable circumstances.